This baby is a true funnel neck, which means it’s one full piece of pure luxurious Italian yarn all knit together (no collar pieced on after). Straight, swingy and side slits with drop shoulder sleeves for an elevated, feminine look. When we found this Italian yarn, we couldn't stop thinking about. We had to beg our CEO Mike to let us get it (it was a little, ahem, pricey)... but it's worth every penny. 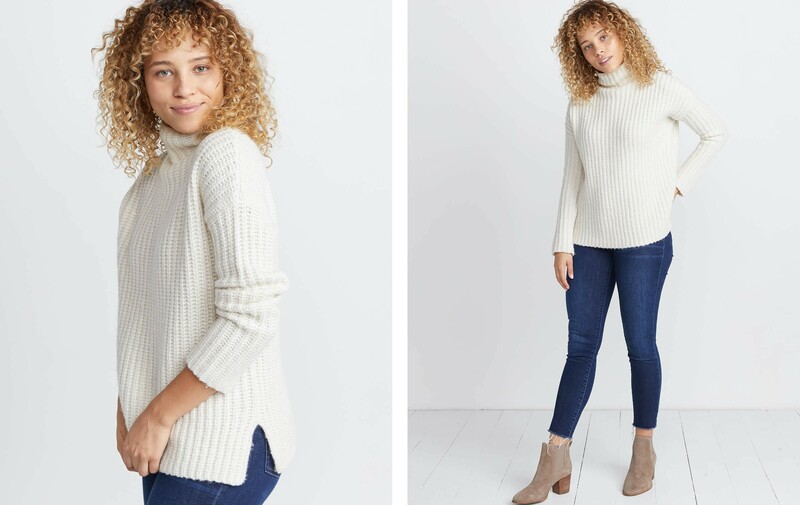 The softest, most luxurious blend of baby alpaca, virgin wool, and cotton make this sweater one of those you just want to rub your face against. High-quality fabric = this'll last for years and years.